While the park is the perfect spot to reconnect with nature along the kilometres of trails, gardens, and greenspace, there’s so much more for everyone to see and do. 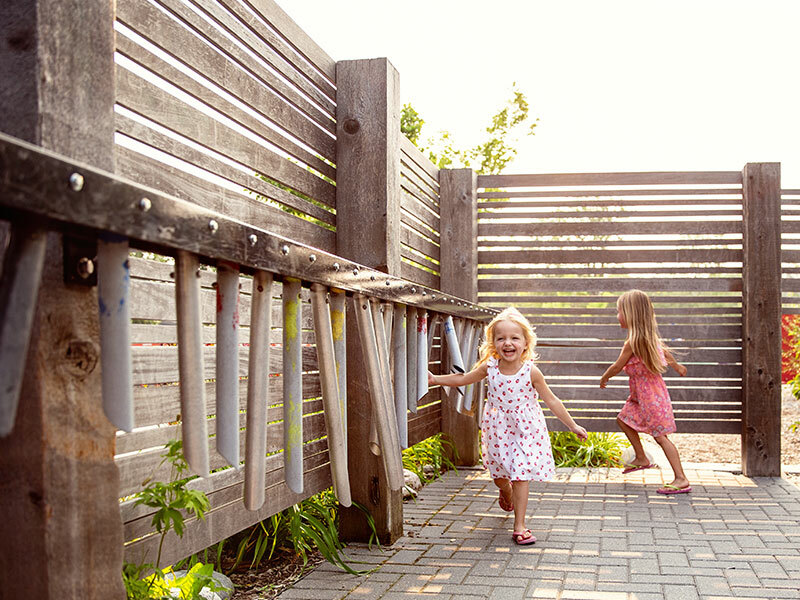 Find the tiny door that leads into the Nature Playground – a blend of colourful slides, swings, tunnels, and rolling hills that offers hours of fresh air and fun. 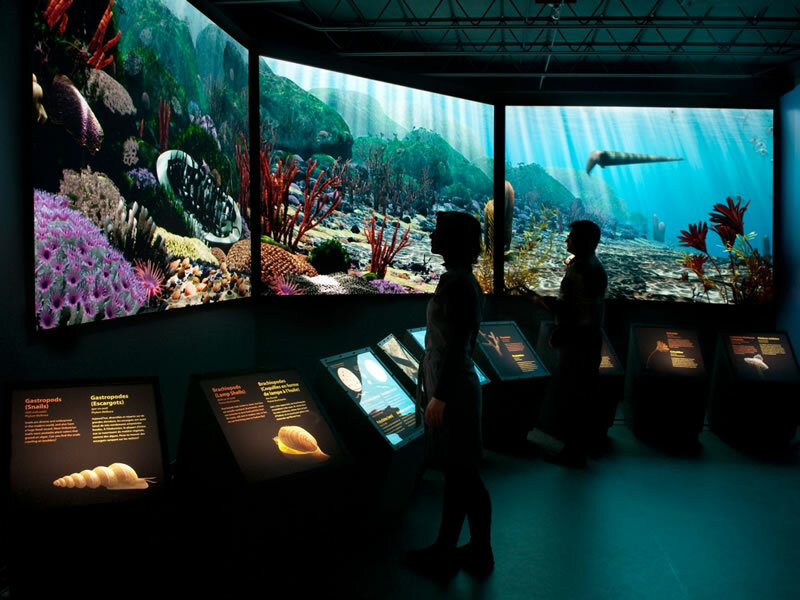 Stop by the Journey to Churchill exhibit at Assiniboine Park Zoo for an up-close look at northern animals including seals and polar bears, then grab a Bee2Gether novelty limo bike built for up to eight, to peddle around the duck pond before stopping for a snack at The Park Café. Imagine what it was like for families throughout Manitoba’s history. Peek in on a Cree family as they gather food in the Boreal Forest gallery, board a full-size replica of the iconic Nonsuch ship which brought goods from England to trade for furs. Sit inside the living room of a Red River log house after a day in the grain fields, and reflect what it would be like to live with multi generations inside the Wambdi Wacesta Tipi. This tour is sure to float your boat, as a unique way to see Winnipeg from a different perspective. 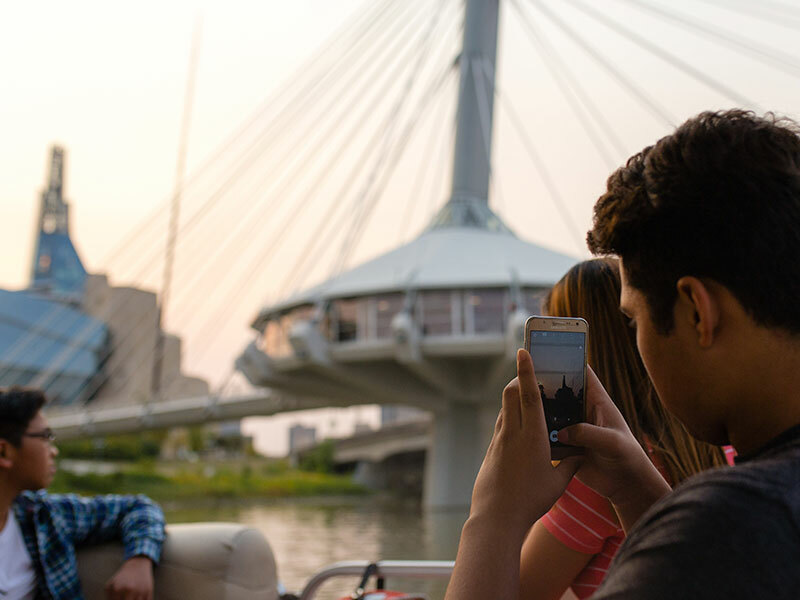 Your guide provides insights on city history and points of interest, from the St. Boniface Cathedral-Basilica to the Manitoba Legislative Building while cruising along the city’s two most famous rivers. For a little extra magic, get on board just before sunset when the prairie sky turns pink over Winnipeg’s skyline. Pass the conductor your ticket as you board the Prairie Dog Central, a fully restored vintage train pulling wooden coaches. 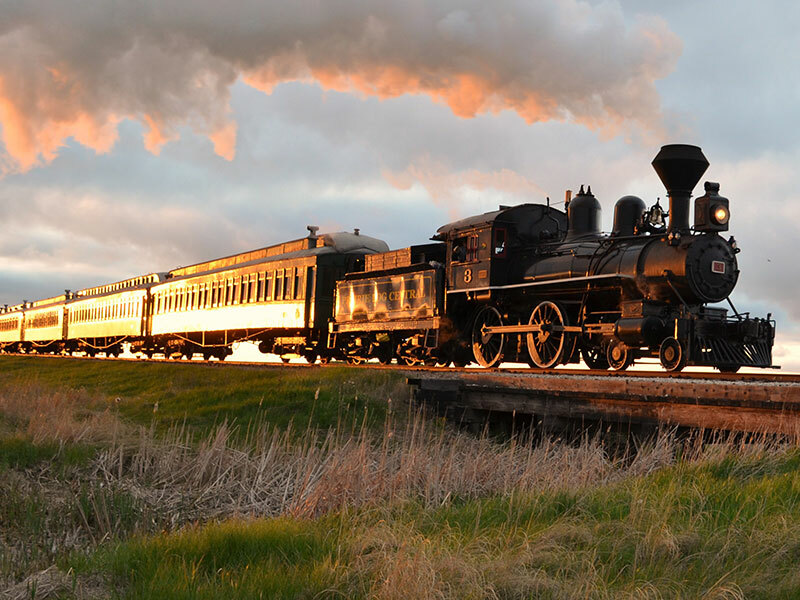 Take in the prairie landscape passing by as you chug along the tracks, before you pull in to the station at Grosse Isle where you can browse the local farmers market, and other events that occur near the platform. Make your return to Inkster Station, a Canadian Heritage Railway Station, complete with historical ambiance and a functional ticket agent cage. This historic site offers up something for everyone. Kids can have their fun at the Children’s Museum and Manitoba Theatre for Young People, while mom and dad grab a gourmet coffee, or an adult beverage, in the bustling Food Hall. 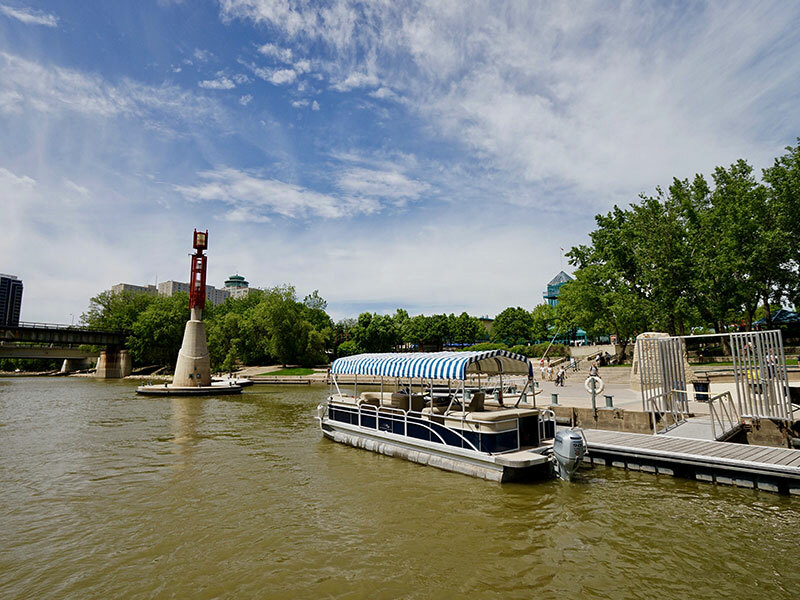 Spend time together traversing the trails that run throughout The Forks and along the river’s edge, explore the playground, sit inside the Oodena Celebration Circle, or climb to the top of the Forks Market glass tower to get a panoramic city view. Everyone grab a paddle for a voyager canoe ride through the wetlands of this wildlife reserve. Keep an eye on the water and maybe you’ll see one of the numerous amphibians, reptiles, fish, and countless invertebrates that live in this important ecosystem. 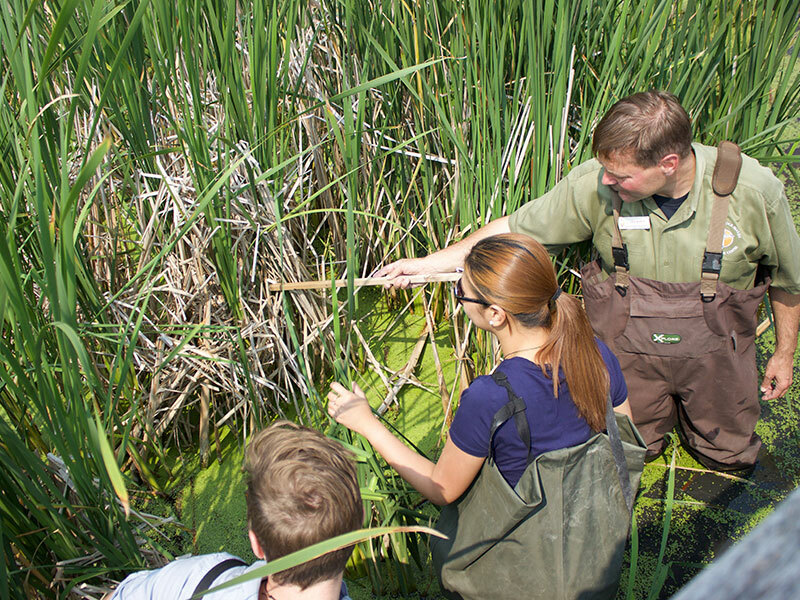 Join an interpreter on a guided hike, or one of the daily nature surveys and feel the flutter of a songbird’s wings during the Canadian Signature Experience before heading into the Interpretive Centre to help feed the centre’s snakes, salamanders, turtles, frogs, and fish. Six hundred-forty acres of pristine prairie beauty are waiting to welcome you in this oasis just south of the city. In summer, feel the wind in your hair canoeing or sailing on one of FortWhyte’s several lakes. 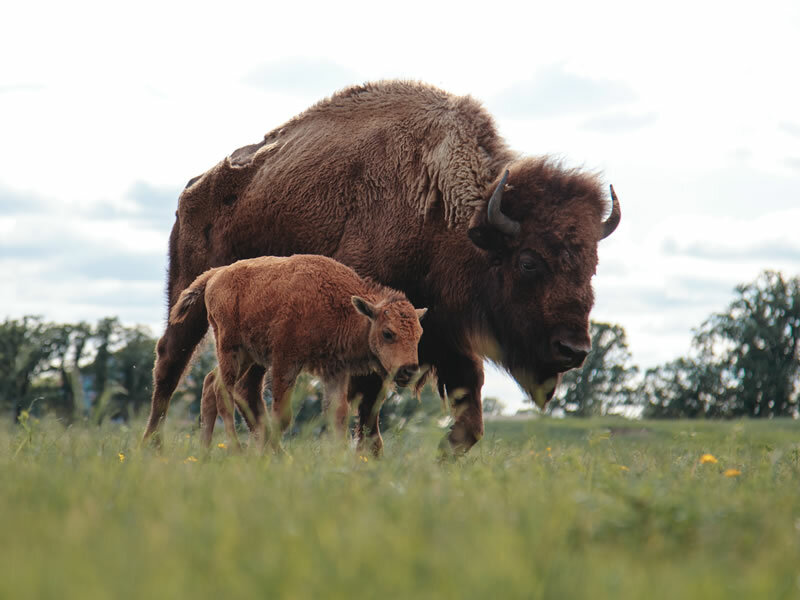 In fall, sip a locally brewed beer on their restaurant patio while witnessing North America’s largest animal (the bison) roam in its natural habitat as migrating birds fill the sky. In winter, go cross-country skiing or snowshoeing on its many trails or take the kids out for a ridiculously fun day of sliding on the Richardson Rrrun Toboggan slide. No matter what the season, there is always an adventure to be had at FortWhyte Alive. It’s one of the hottest spots to cool down during a Winnipeg summer. Set just inside the Perimeter Highway, Fun Mountain’s open and enclosed water slides snake up the hill allowing riders to make a big splash as they speed down. 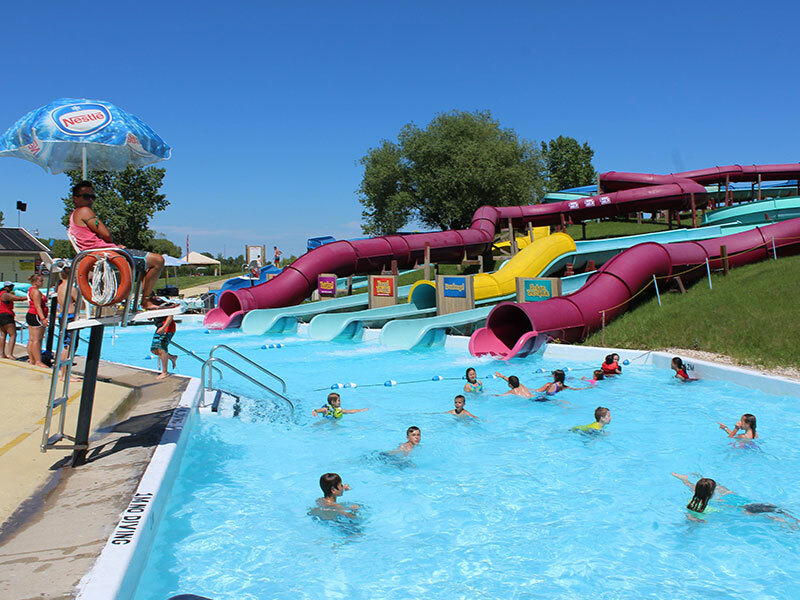 You’ll go faster than a mighty river on the park’s most popular slides - River, Dragon, and Cherry Bomb. You can make a slide double the fun with two-person inner tubes, or spend some time just relaxing in the park’s hot tub. Have some affordable family fun with two of Winnipeg’s favourite sports teams. Cheer on the Manitoba Moose, the American Hockey League's affiliate of the Winnipeg Jets, as they take to the ice at Bell MTS Place for some fast-paced hockey. 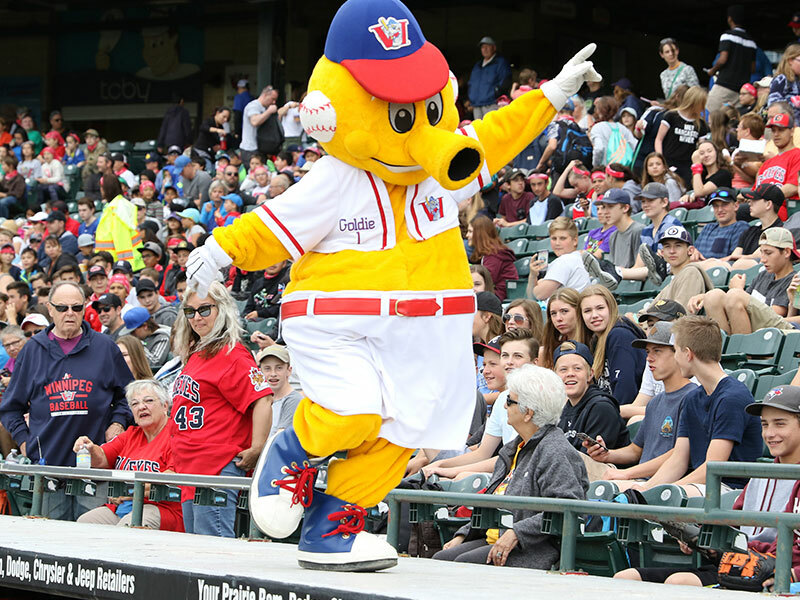 Watch Mick E. Moose pull off some sweet dance moves in the stands – a mascot who’s only matched by Goldie, the Winnipeg Goldeyes’ mascot as he gets the crowd hyped for these American Association baseball league champions. 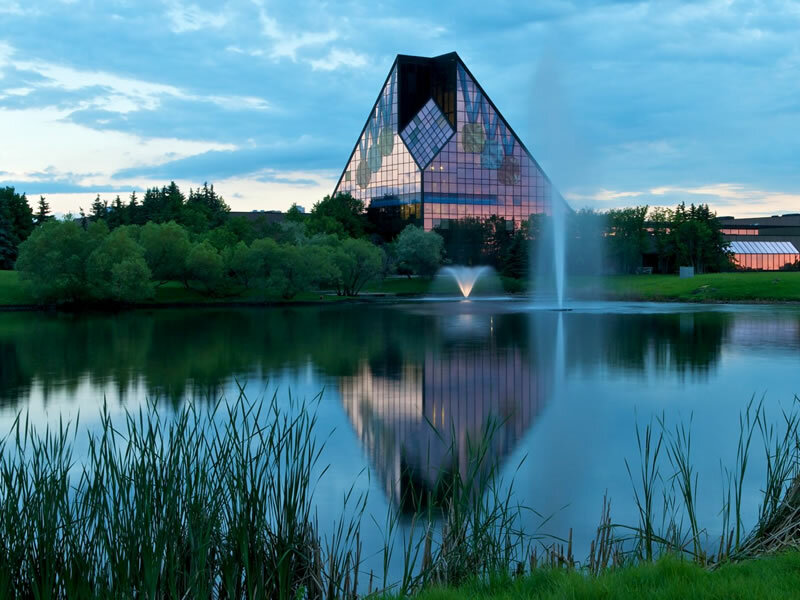 Bet your bottom dollar you didn’t know every single Canadian circulation coin is produced at the Royal Canadian Mint in Winnipeg - that’s billions each year. Book a guided tour through the interactive coin displays, try lifting a bar of gold (it’s heavier than you’d expect), and watch as thousands of coins are produced in the high-velocity, state-of-the-art facility.